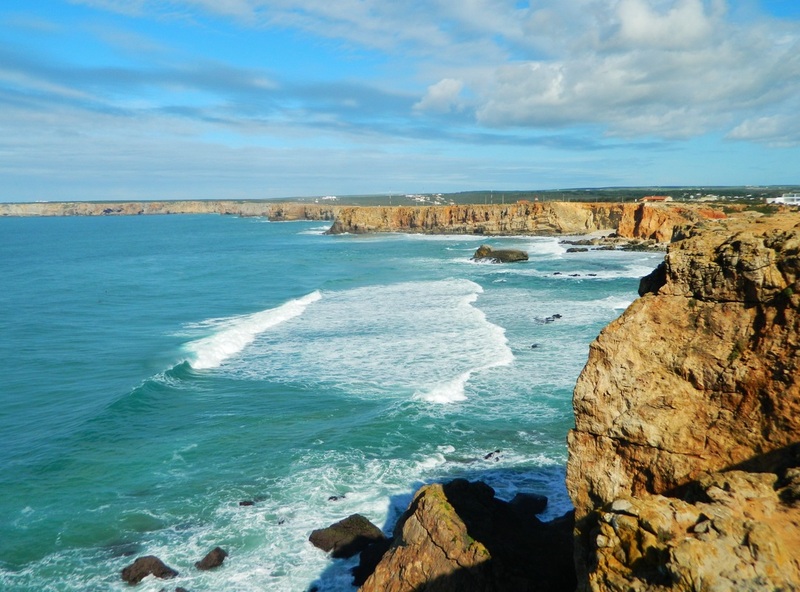 From Rota, the cities of Albufeira and Sagres in southern Portugal are 3 and 4 hours away by car, respectively. 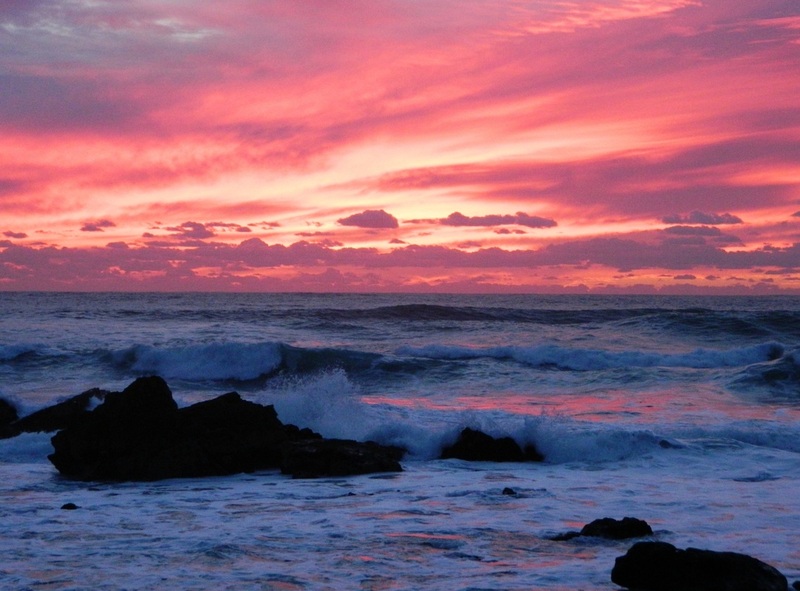 Albufeira is a coastal city boasting beautiful beaches, resorts, shopping, and dining. English is widely spoken in Albufeira since it is a major tourist destination, although Portuguese is the native language. 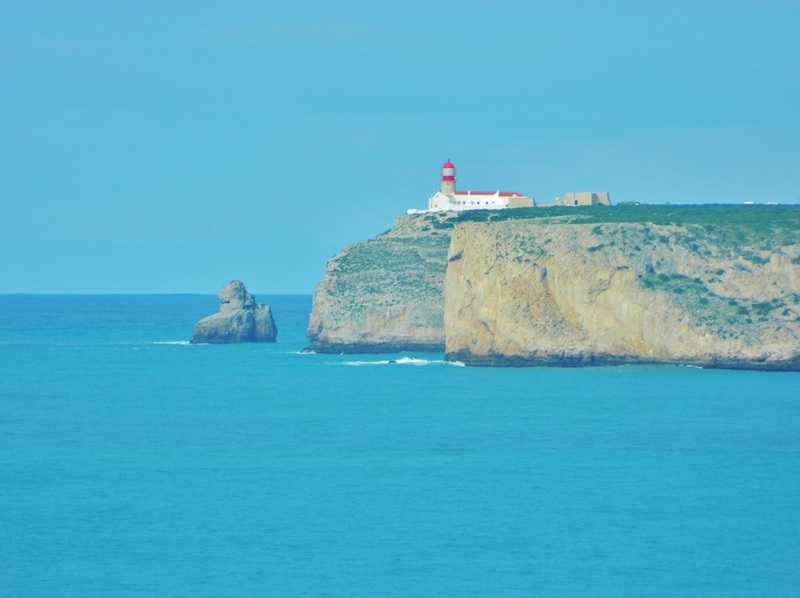 I am updating this post because I love Sagres so much that I had to go back again last weekend. 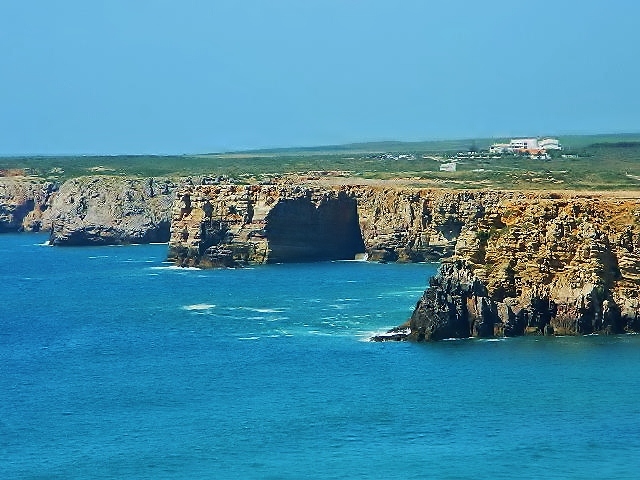 About an hour to the south and west of Albufeira, you can visit the city of Sagres, near the southwestern-most point of the continent of Europe. Spectacular! Sagres is quiet, quaint, and relaxing compared to the hustle-bustle of busy Albufeira, and standing on the edge of the continent is pretty amazing. 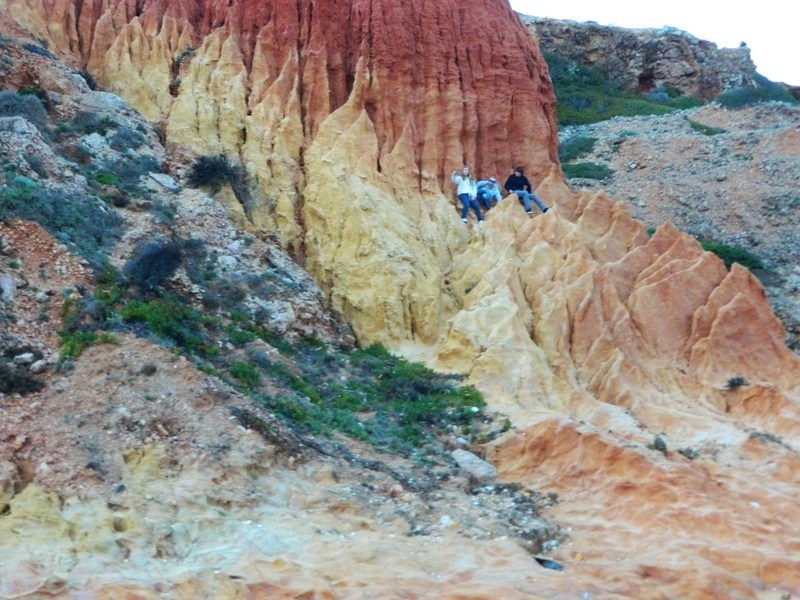 This time we stayed in Sagres rather than Albufeira to really feel like we were getting away from it all... Don't go to Sagres looking for parties and nightlife--at least not in Winter. This is a surf town, and as such, it's pretty quiet this time of year. 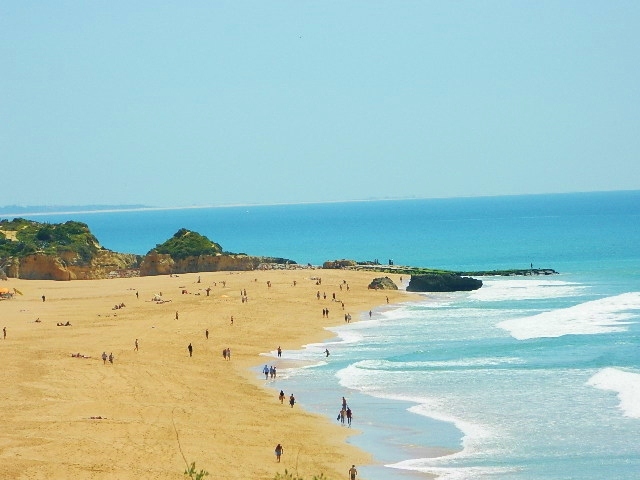 The Algarve region of Portugal is on a similar time table as Spain in that during the peak Summer months, it's packed. But just as southern Spain is delightfully empty right now, so is southern Portugal. The scenery is spectacular, the food is fresh, and the smallness of the town lends itself to walking everywhere if you are so inclined. ...and open! Mmmm...can you smell it? Portugal has GREAT food. 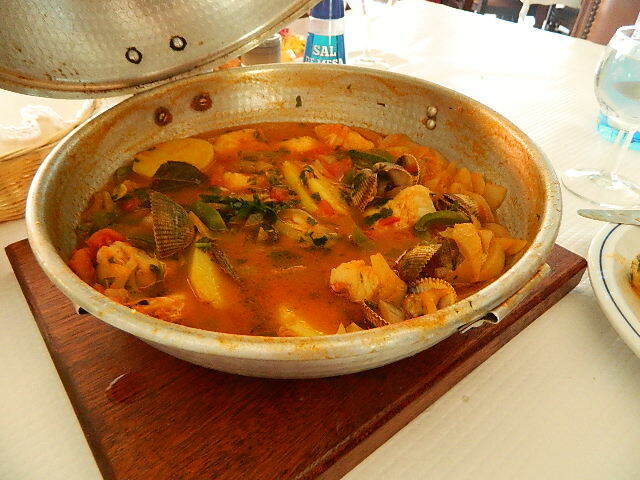 The dish pictured above is a traditional Portuguese specialty called Cataplana. Seafood, veggies, potatoes, broth and spices are placed in this clam-shell style pot which is sealed up and cooked at a very high heat. The dish comes to the table sealed up, and they open it at the table releasing the pressure from the pot and revealing an incredibly delicious meal. 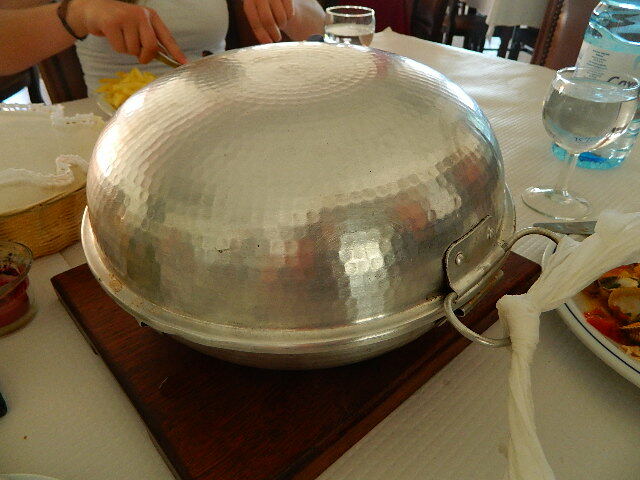 Cataplana is usually made for a minimum of 2 people to share, but can be filled to feed a large group. 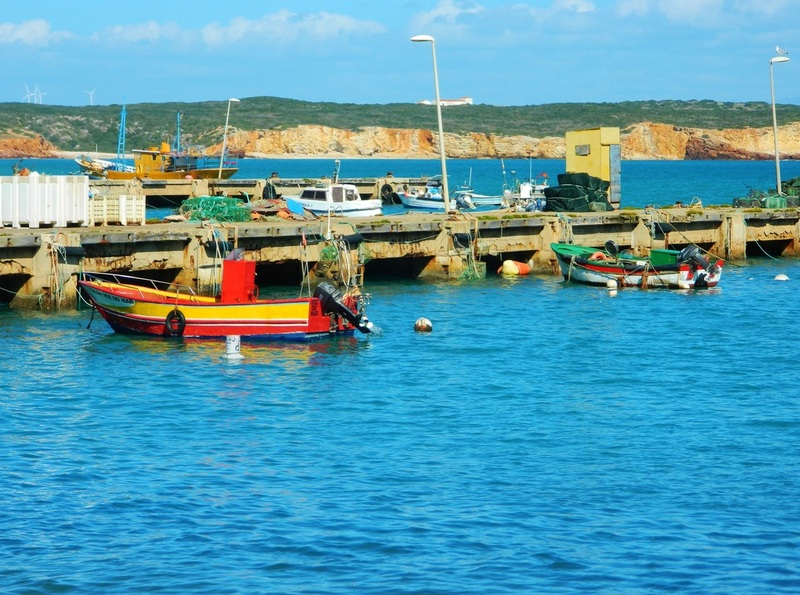 Sagres' quiet and secluded harbor looks like someone plucked a fishing village out of the deep past and gave it a fresh, vibrant coat of paint. This is an active harbor where fisherman are literally bringing in your dinner every day... Just up the hill from the harbor are a variety of restaurants, all serving up fresh fish and seafood. We really like Restaurante O Pescador. Great food, nice atmosphere and great service from the same owner for 35 years. From Sagres you can drive about 5 minutes down the road and arrive at the Cape St. Vincent Lighthouse. This is the southwestern-most point on the continent. We were there on a Sunday, and in the parking area outside the lighthouse, several vendors had set up shop selling handmade wool items--hats, sweaters, ponchos, etc. as well as a variety of other souvenirs. The prices were good, and the quality is excellent. The vendors said they are there most days that the weather is good... Once inside the lighthouse grounds, there is a small snack shop and also a gift shop which sells a lot of nautical themed gifts and other items unique to the area. There are several beach-access points in Sagres. Depending on the tide, the beaches can be quite rocky but the adjacent cliffs make for excellent climbing and creating different vantage points all along the coast. While there are plenty of other larger towns nearby (Lagos, Albufeira, etc.) with probably more to do, for me, Sagres hits all the right notes and is the perfect getaway.